Alphacam Designer fills the gap between CAD and CAM. From fixture design, to part repair & modification, Alphacam Designer is the ultimate CAD solution for taking geometry through to manufacture. Simple menu and icon commands with context sensitive online help make it quick and easy to start using Alphacam Designer. Dynamic rotation, zoom and pan, together with programmable function keys and mouse buttons help speed up the operation of the software. Unlimited undo and redo operations with user definable bookmarks enable the designer to move backwards and forwards throughout the design process. Multi-layer and multi-origin control with user definable colour pallets and line styles makes it easy to review, create and work with very complex designs. Lightning fast rendering, transparency control and dynamic sectioning make it easy to visualise CAD files and large assemblies. Small gaps between surfaces on imported models can be automatically healed preventing the time consuming process of rebuilding very small surface patches. Where surfaces are corrupt or missing Alphacam Designer will automatically create the edge curve geometry making it easy to rebuild new faces using the comprehensive surfacing suite. Automation makes the time consuming process of model cleanup much faster and simpler. 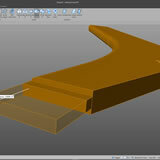 Closing a surface model to produce a solid body eliminates construction problems later in the design process and immediately brings the benefits of solid modelling to the user. The ability to seamlessly switch between solid and surface technology provides unlimited freedom, ensuring the user can work with difficult CAD data. 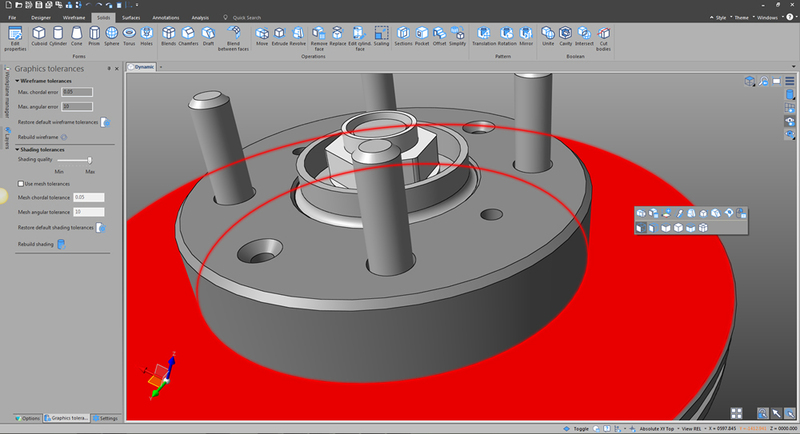 Many times the incoming CAD data includes geometric features that are either unnecessary for CAM, or will not be created by the machining process itself. Post-machining processes such as laser engraving, electrode marking and other techniques are often represented on the model. 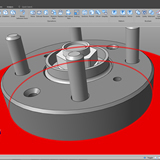 While this was important for the CAD design and will ultimately reside in the final component, such markings often impede the job of the CAM programmer. 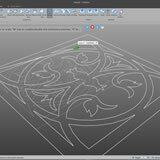 With Alphacam Designer, removing these markings and even saving them for later operations is just a mouse click away. 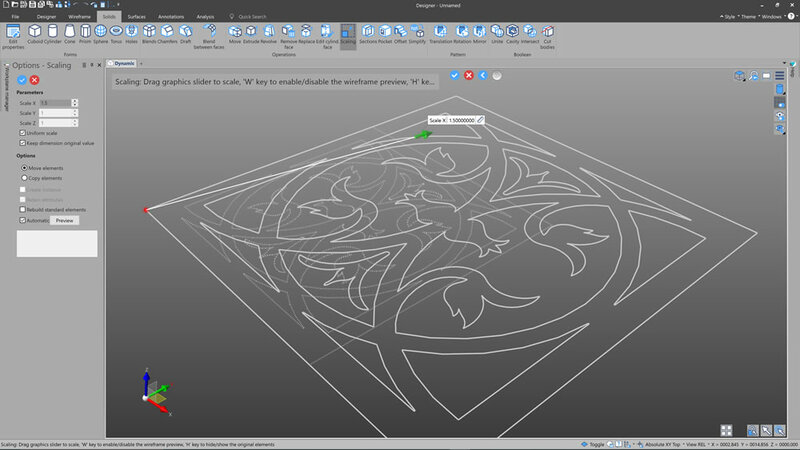 Alphacam Designers sketch capabilities allows for the creation of two dimensional shapes using free form-input. While the user can rely upon the traditional methods of coordinate based input, free-form sketching intelligently interacts with surrounding geometry. This ability to intuitively create implied constraints with other geometry expedites the sketch creation process while maintaining the maximum flexibility for future changes. 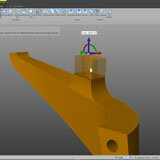 Alphacam Designer provides a host of geometry creation techniques that are critical to the machinist for model preparation. Hole capping is a great example of the simple and easy to use features of Alphacam Designer that help to ensure that surface machining provides the best possible results. 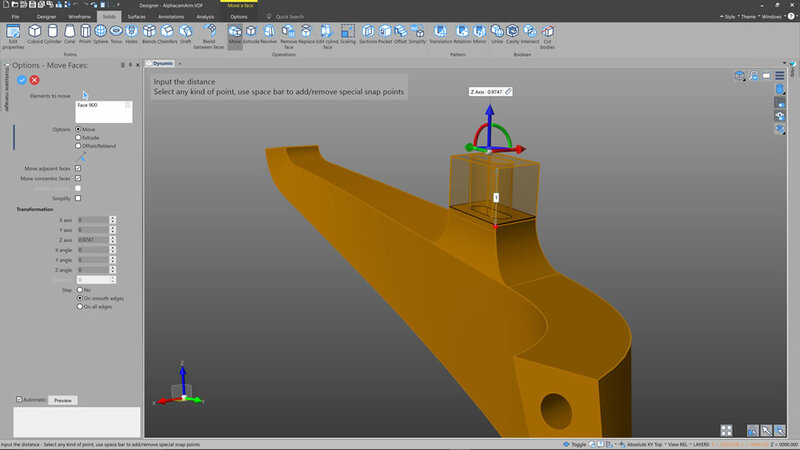 This feature can be used to cap anything from a simple drilled hole to a complex open cavity with just a few clicks of the mouse. 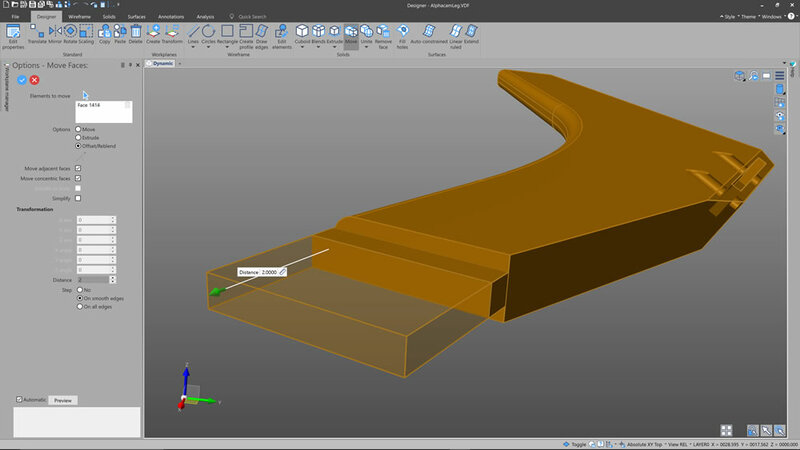 An extensive range of curve creation routines vastly improves boundary creation and simple but powerful surface creation techniques provide the machinist with more power than ever before. Alphacam Designer supports the import of DXF and DWG files allowing the user to transform existing 2D data into a 3D model by simply reusing the imported profiles from the original data. Imported data automatically creates sketch profile regions making the transformation from 2D to 3D easier than ever.